Yesterday was my 36th birthday! Last weekend, I promised Niels that I would make us a picnic quilt. 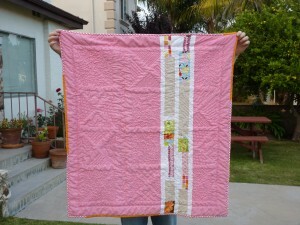 The beach blanket is great, but a quilt would be even better! And all he’s gotten out of my newfound hobby is a Lakers pillow made with a remnant (8 months after buying said remnant) and hemming up of some oversized pillow cases, so its probably time that I made US something. 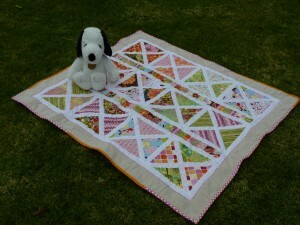 I was looking around online for inspiration for our picnic quilt, and I came upon Crazy Mom Quilts‘ 36-patch quilt along. The whole 36 thing seemed like a bit of synergy. And its colorful, can be done with my ever-growing stash, and I may even make it with 36 blocks, unless I think that it should be bigger! I made another block this morning before heading out to my “get to know your sewing machine” class – a month after I bought my new sewing machine. Today, I actually followed the cutting directions, which made the whole process a lot easier . . . If you told me last year that I would consider sitting down for an hour at the sewing machine a perfect part of a relaxing birthday, I would have thought you were crazy. But here I am, really enjoying the process of creating (what I think are) beautiful things and sharing them with friends and family. But indeed, the next project is for me, for my birthday. Ellie’s quilt DONE! And exploring the Beast. 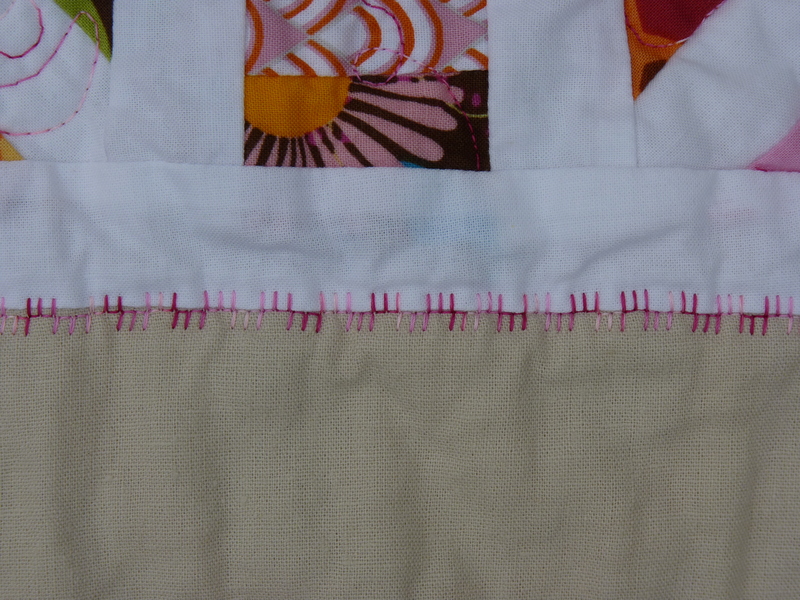 It’s been a busy week and a half since the Beast – the new sewing machine – came into my life. The first night, I couldn’t wait to get it out of the box and try it. And then I realized that I had a lot to learn. I knew it would be fine, but I was a bit discouraged. But I’ve persevered and I’m falling for her. For example, today I replaced a button on my blouse in a matter of seconds, all because of the Beast. 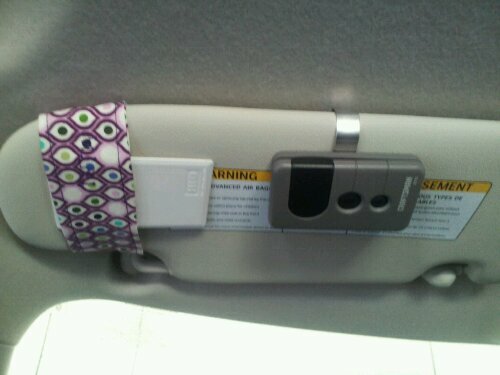 (The button replacement was one of the highlights of my day – just awesome.) And the best part – I finished Ellie’s quilt! The colors of this quilt just make me smile – I’m really happy with how it came out. I delivered it to 6-week-old Ellie and her parents today, and I’m happy it’s going to such a good home. Sadly, it was a cloudy So Cal day this morning, so I wasn’t able to get great pictures, but I do love my quilt holder here. It was such a joy to finish this on the Beast. I wanted to keep it fairly simple and emphasize the framing within each block. 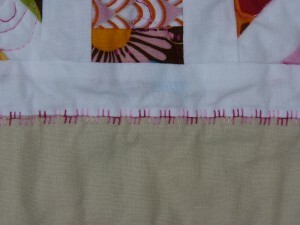 I didn’t do any quilting at all around the border – I used a decorative stitch to separate the sashing from the border and then went straight to binding. I love that my machine can do this! 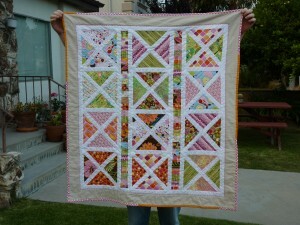 This week, I also went to the LA Modern Quilt Guild meeting – it’s been months since I was able to go. Niels decided that he wanted to see what we talk about and tagged along – he was kinda impressed with some of what he saw, though I’m not sure he believed me in advance that there would be a show and tell… He also won one of the giveaways for me, so it was worth it to bring him along Angela Walters from Quilting is My Therapy spoke and showed her amazing quilting and really inspired me to try branching out and think about the design of my quilting, and not just think about covering the space. I say “inspired” now, but I’m sure there will be a lot of frustration coming. The LAMQG also announced that they’re running a challenge with Habitat fabrics by Jay McCarroll, and I’m already thinking about how I can expand my skills and produce something great interesting. I’ll try to post some updates as I move along through it. 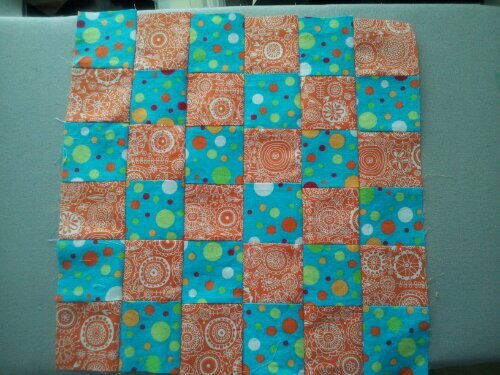 Ellie’s quilt was based on the pattern here, but modified. The Era of the Beast! Flossy (the sewing machine you’ve seen in other posts) is no longer my sole sewing machine. She’s a great little trooper, but for a while now I’ve really wanted a machine that was more powerful, had more room to work, and had more appreciation for the import of sewing a straight line. This weekend, I went to the Long Beach Quilting Show and spend a surprisingly tiring day test driving a bunch of machines, and finally made a decision. She’s home now, and we call her the Beast. She’s huge, and has tons of potential that I’m just starting to explore. This post is NOT my love letter to Beast. I’ll formally introduce her another day, when I don’t feel so much like her b*tch. Lots to learn. Between work, an awesome little road trip and the anticipation of buying a new machine (it’s been in the works for a while), I haven’t spent much time sewing in the past month. 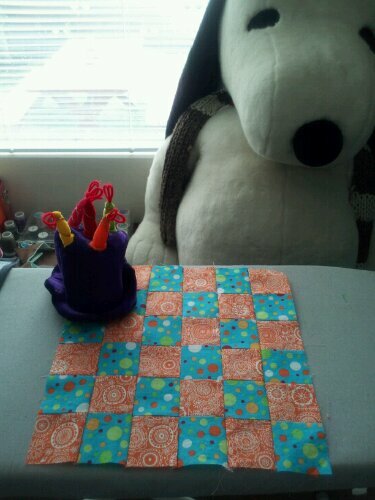 Beast is getting me back in the saddle and finishing quilting Ellie’s quilt, finally. In short, I’m back! 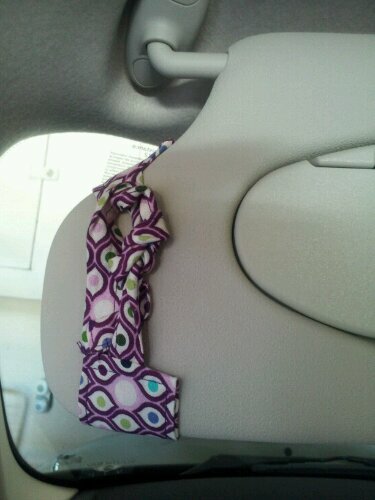 I know it would have been better with elastic, but I didn’t have any and I am impatient. So for now, I have ties. I can always make a new one later!